This crazy Hong Kong hybrid mixes a raft of different film genres to spin a laborious saga about Chinese underground resistance during the Second Sino-Japanese War in the late 1930s. There’s a whole patchwork of styles here, from brutal war spectacle, Bond-style espionage, noir and violent gangster thriller to lighthearted superhero actioner, kung-fu high jinks, ‘Keystone Cops’-style comedy caper and romantic drama. The weirdest thing is how these disparate elements flow into each other: one minute someone is having a 12-inch blade thrust into their abdomen; the next we’re in Laurel and Hardy territory with people comically tripping over themselves. Donnie Yen (‘Ip Man’) plays the hero of the piece. When he isn’t masquerading as a Shanghai club-owner’s business partner, he’s wearing a corny Lone Ranger mask and kicking seven shades out of a Japanese colonel’s hired killers. There’s no sense in divulging any more plot because its structure is as confusing as a Mandelbrot set. 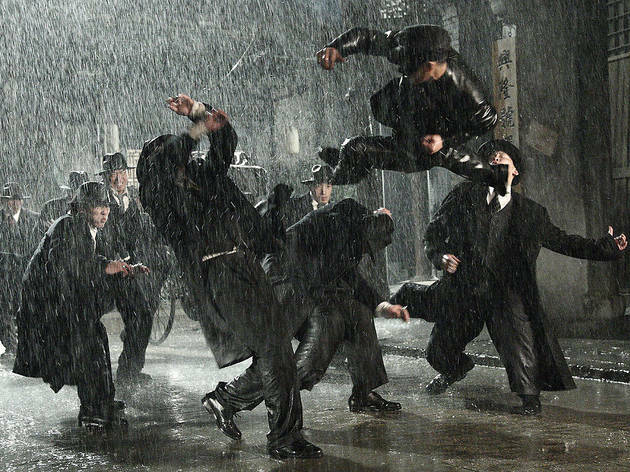 But credit is due to the top-notch cinematography and the smartly choreographed martial arts sequences.